Folks in Kammanahalli, the Adidas and Reebok Factory Outlet Store (both are in one store, cause you know Adidas owns Reebok) is where you need to head to get neat discounts on all their sportswear, apparel, footwear, and accessories, all year round. We are not joking, walk into the store any day and you can get anything from a 30 per cent off to even Buy 1, Get 1 offer. There's no telling what discount is going on when, but rest assured, you will get a good deal from both the brands. 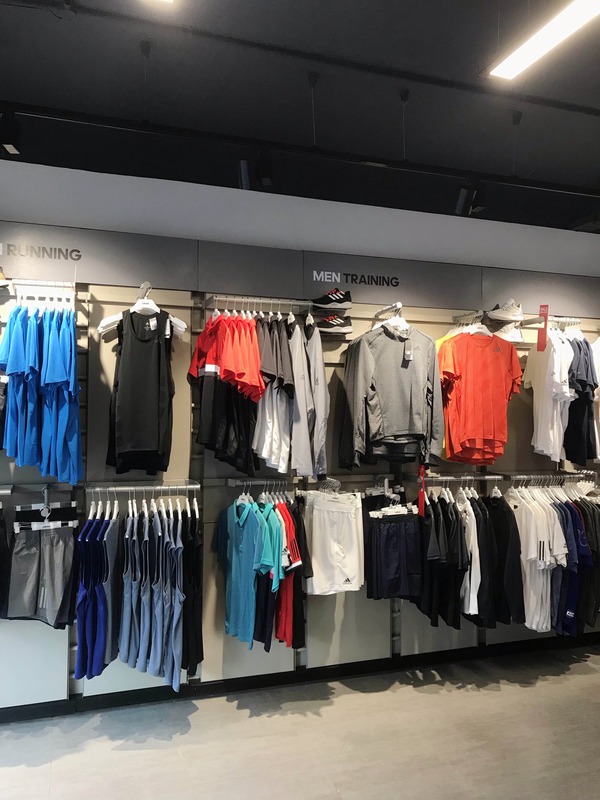 The ground floor is for apparel, club gear (jerseys, sweaters, shorts, socks, and even wind-cheaters, gym wear, and running gear for men and women. There's also a bunch of accessories such as bags, bandanas, water bottles, and footwear such as slippers. Upstairs section is completely for footwear where you can pick running, basketball, football, and even sneakers. We spotted a whole range of Adidas Originals as well as football boots worn by the likes of Messi, Pogba, and Bale. Think Adidas X, Nemeziz, and the good old Adidas Aces. Don't go there expecting to find all the latest products. Most of the stuff is at least two seasons old, which is probably why you will find especially the footwear selection has older models of Ultraboosts and Floatrides.